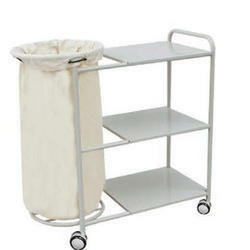 We are a leading Manufacturer of nursing trolley from Hyderabad, India. MS Tubular frame work mounte on 100 dia. castor wheels, two of them with breaks, diagonally fitted. Finish: Shot Blasted, Epoxy Powder Coated. Looking for Nursing Trolley ?